Just some of our available custom work options for your new Mooresville, NC modular home include garages and porches. A cookie-cutter style is great for pretty much one thing: cookies! For your dream home, don’t you deserve something that has a little more personality? Of course you do, and here at 1st Choice Home Centers, we are here to help you personalize your home with some of our custom work additions. We offer several kinds of custom work, and if you’re looking to build in Mooresville, NC, we want to help you! Our quality, custom work will leave you wondering why anyone would choose a home that looks identical to all those around it when our choices of quality materials and building are available. Just some of our available custom work options for your new Mooresville, NC modular home include garages and porches. It’s very uncommon to see a home without a garage these days, especially a new home. Garages are essential for storing all kinds of things, not just your cars! You can use them to store your yard equipment, tools, sporting goods, and so much more. As for our porches, these lend character and distinction to your home in addition to expanding your living space to the outdoors. A relaxing and comfortable porch is just what you need after a long day at work. In fact, you’d be hard-pressed to find someone who couldn’t relax while sitting on a beautiful porch drinking a glass of cold lemonade! For the best in quality materials, customer service, and experience, you need 1st Choice Home Centers for your new modular home! We would love to help answer your questions about the custom work we have available for you, so please contact us at any time. We look forward to hearing from you! 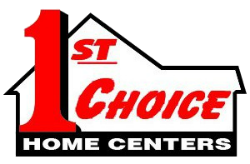 1st Choice Home Center offers quality custom work in Statesville, Troutman, Taylorsville, Mocksville, Maiden, Conover, Newton, Union Grove, Harmony, Hickory, Mooresville, and surrounding areas of North Carolina.